Students reported by instructors as not in attendance or having a 100 percent absence record through the Official University Administrative Withdrawal Date for attendance, will be administratively withdrawn from class(es) with no tuition or fees, except the admissions application processing and or late registration fees. The administrative withdrawal date for never attending courses may be found in the Academic Calendar available in the University Resources window of the MYHSSU Home page. Federal financial assistance awards will be cancelled and returned or reduced by the total number of classes that a student has been administratively withdrawn during that semester. In cases in which some courses were never attended, but others were attended, only the tuition of the courses never attended will be refunded to the payer. Administrative withdrawals for never attending meeting the aforementioned conditions are valid and will stand. Students may appeal administrative withdrawal from class for having never attended when erroneously withdrawn, in that absences resulting in the withdrawal are inaccurate as the student attended class by the official university administrative withdrawal date for attendance. The student must contact their instructor directly to appeal. 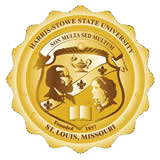 In the event that a student has been reported with all absences in error, the instructor must appeal the withdrawal by submitting the Administrative Withdrawal Reinstatement Form online through the Faculty Dashboard tab of MYHSSU by the reinstatement deadline. The never attend reinstatement deadline is determined by the Offices of the Registrar and Financial Assistance and provided in the official notice of withdrawal to both students and instructors. Instructors must provide the dates attended for the Registrar to determine if the student attended prior to the official university administrative withdrawal date and can be reinstated. If the student did not attend by the administrative withdrawal date, approval for reinstatement would be required by the Dean for the Academic Department and the Office of Academic Affairs. Instructors are not obligated to complete this form if a student has never attended the class or has had excessive absences. Instructors are required to update attendance reports to complete the reinstatement. Upon verification that attendance reports have been updated, the Office of the Registrar will notify the Office of Financial Assistance of the reinstatement.